This week at CVS, milk is on sale for $2.99 and you’ll receive $1.00 Extrabucks at checkout. Pay just $1.99 after sale and Extrabucks! 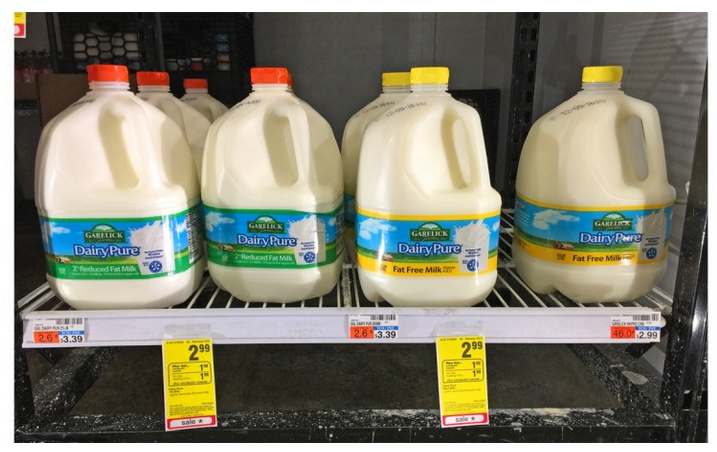 This is a great price on milk! Keep in mind that milk deals are notoriously regional. If this deal isn’t signed in your store, be sure to check your print ad in-store, scan at the price-checker, or visit myweeklyad online at cvs.com. Total $2.99 plus receive $1.00 ECB, making them only $1.99 after ECB!